In this special month of March as women are honored, I would like to take time to reflect on the importance of empowerment. I have been teaching a group of French women through the French welcoming association ‘Hong Kong Accueil’ since September. We meet once a month and I teach them about wine. Most of them said they joined the class because they felt they did not know anything about wine, even being French. There was an unspoken rule for each one of them: ‘it is always my husband who is choosing the wine at home’. I am happy to say that after six months of teaching them, their attitude has completely changed on the subject of wine. They are feeling much more assertive, their knowledge about wine has dramatically improved and they are now able to make a decision when it’s time to choose the wine. It has been a real pleasure to see these women dedicating the time for this class, to see their eagerness to join and to see their pleasure at discovering more. But most of all, it has been so fulfilling for me to see them empowered with knowledge and confidence. I had the same experience with women from Hong Kong, China and elsewhere. My most eager students have always been women who were ready to dedicate the time, effort and hard work to study about wine. For all the Bernice, Rebecca, Rachel, Annette, Wing, Allison… I am utterly grateful! 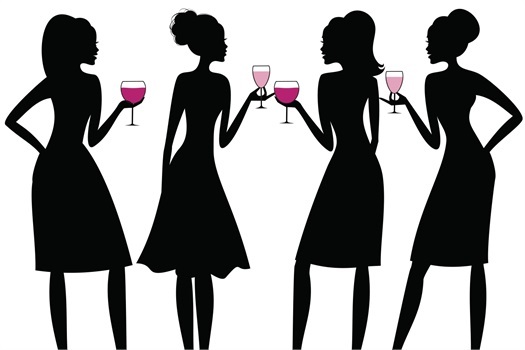 They are now involved in wine as wine consultant, wine writer or sommelier and they are truly amazing wine women! For this month of March, I would love to give you also the chance to get more empowerment through wine knowledge. So, gather your girlfriends and join me for a woman-only WINE EXPERIENCE. Sign-up till the end of March and you will get a 10% discount on the regular price classes for a girl-only workshop! It will be fun, entertaining and you are guaranteed to feel the power afterwards!